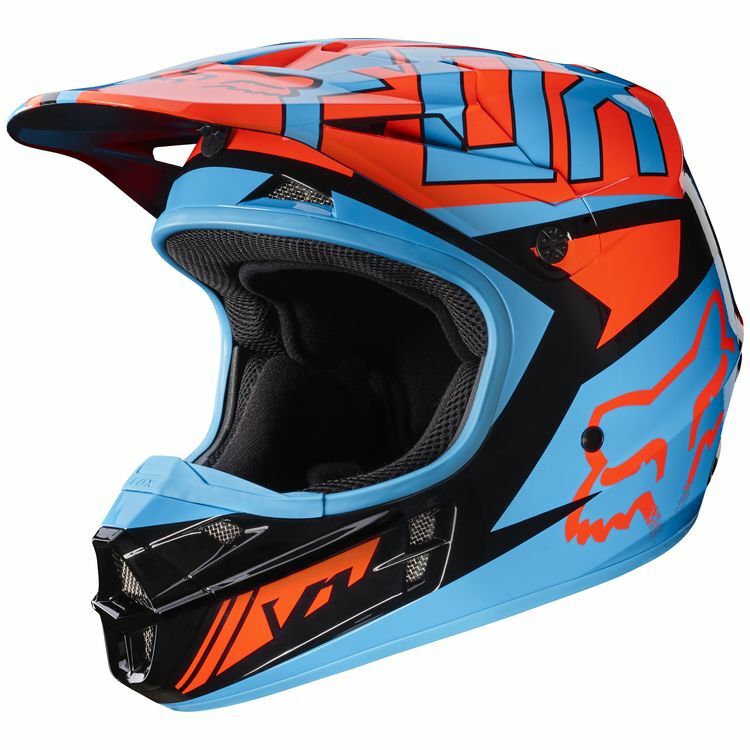 The Fox Racing V1 Race Helmet offers value, comfort, and performance in a single package, setting the standard for head protection in the dirt. It features injection molded polycarbonate shell construction, three shell sizes, and four EPS sizes for a precise fit. I love this helmet, when I got one that fit properly. I went off the fox size chart, my 23.5" grape called for a large, but large was way too small. I got the xl helmet, and it fits perfectly. Great looking too. Great helmet, that looks awesome. The colors pop.